COASTAL damage caused by the massive swell whipped up by this month's east coast low has sparked calls for stronger approaches to address erosion on the Coffs Coast. 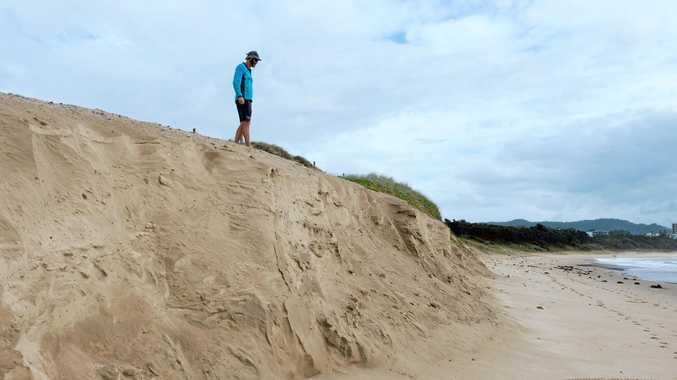 The June 4 weather event resulted in significant erosion, infrastructure damage and loss of beach access to areas including Park Beach, Sawtell and Sandy Beach. 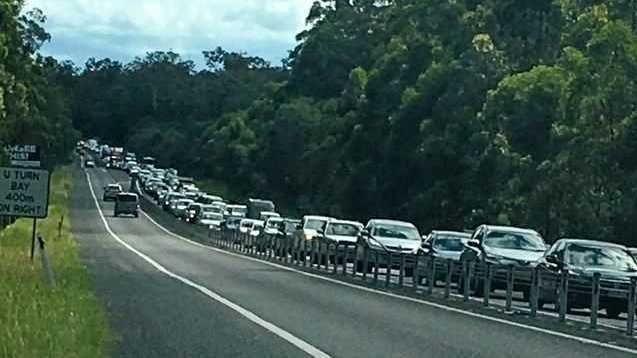 Repairs to damaged coastal infrastructure will be funded through the Natural Disaster Relief and Recovery Arrangements, once an assessment of affected areas has been finalised by Coffs Harbour City Council. The reinstatement of sand at beaches affected by infrastructure erosion is among projects expected to be funded through the NDRRA. It's the same approach that had sand recently piled onto Park Beach - much of which was reclaimed by the ocean of June 4. Jetty Dunecare have seen first-hand the scope of this month's damage, and members say the frequency of local storm events is leaving dunes unable to recover in time. "The last big storm event was June, 2013. The dunes had recovered very well, but it did not recover back to where it was prior to the storm three years ago," volunteer co-ordinator Lindy Davis said. Ms Davis said damage to trees and established vegetation was also threatening the dunal system. "On the northern side of the Jetty north wall we lost 12 banksias that were 50-60 years old in the previous storm event and this year we've lost four or five," she said. "The root system of those established trees keeps the dunes together, but when the frequency of storms is so regular, those big trees don't get a chance to re-establish". Volunteer Peta Fairburn said receding dunes was putting infrastructure at risk. It includes existing structures such as the Sawtell lifeguard tower and proposed developments including the Jetty Foreshores coastal boardwalk. Ms Davis believes options such physical barriers should be considered to prevent future damage. The NSW Government is currently reforming the way the coast is managed with a new Coastal Management Act, a State Environmental Planning Policy and Coastal Management Manual. The policies will be consistent with the Coastal Management Act 2016 that takes into account the effects of climate change.